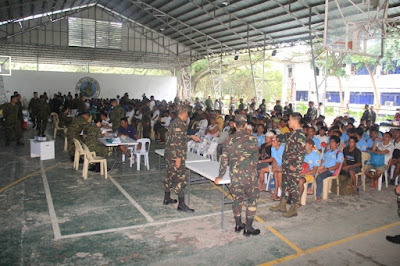 NSFA, Panacan, Davao City - Around 700 former communist rebels and supporters from all over Eastern Mindanao who had chosen to lead normal lives were gathered at the Naval Forces Eastern Mindanao (NFEM) Covered Court in Panacan, Davao City on December 21, 2017. 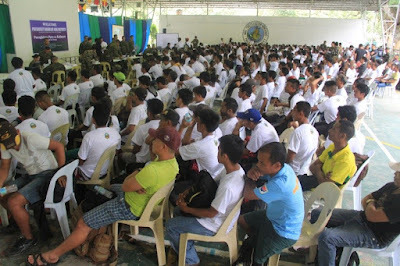 The former rebels who were from the provinces of Agusan, Bukidnon, Surigao, Davao, Cotabato and Sarangani had surrendered their firearms to the authorities and after undergoing verification processes they are now the automatic recipients of the Comprehensive Local Integration Program (CLIP) of the government which offers surrenderees various financial and livelihood assistance. 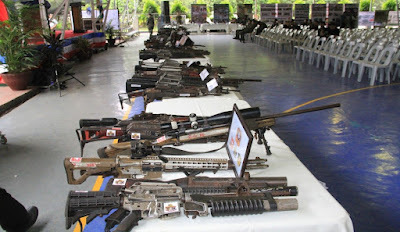 Among the specific benefits that each former communist rebel can get from CLIP are P15,000 financial support, another P50,000 for livelihood, and a remuneration for the surrendered firearm with an amount ranging from P12,000 to P210,000 depending on the type of firearms that they turned over. 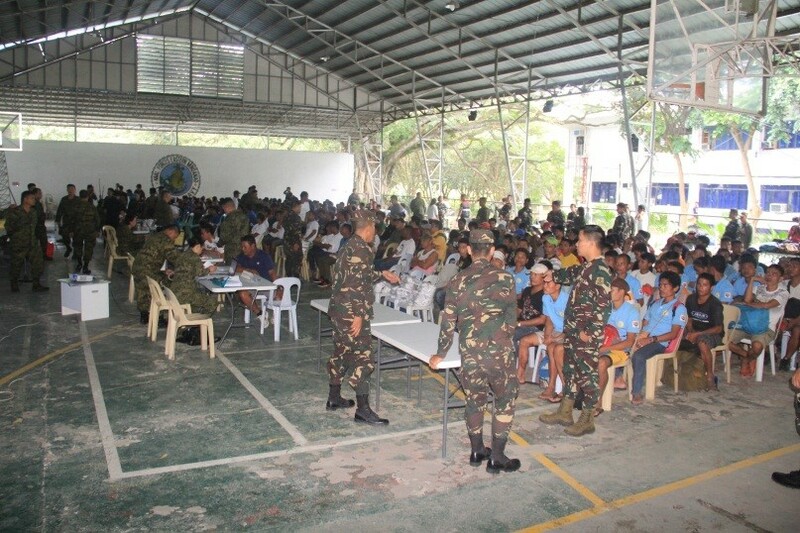 The former communist rebels who had attended the event were those who surrendered from January to December 15 this year and most of them were former members of the New People’s Army (NPA). With their surrender comes the recovery of 265 high and low-powered firearms. Various officials from different government agencies had also attended the event not only to witness but also to hold dialogues with the former communist rebels and offer talks on government’s social services, health, infra, livelihood, education, social justice and governance programs to help former communist rebels reintegrate to the society smoothly. President Rodrigo Roa Duterte will be joining the former communist rebels later this afternoon for the oath of allegiance and also to deliver his message.